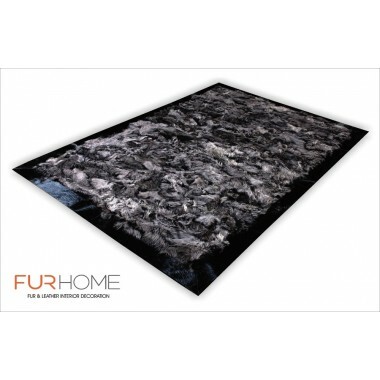 Fur carpet made of real wolf fur pieces. 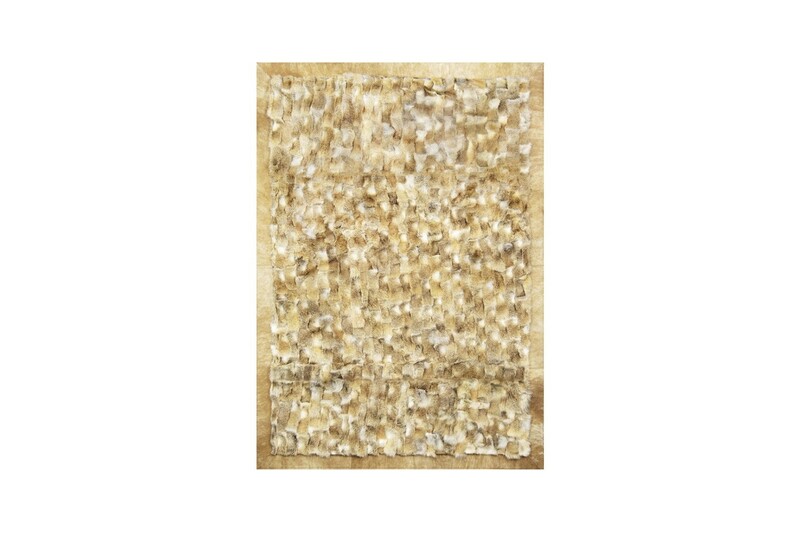 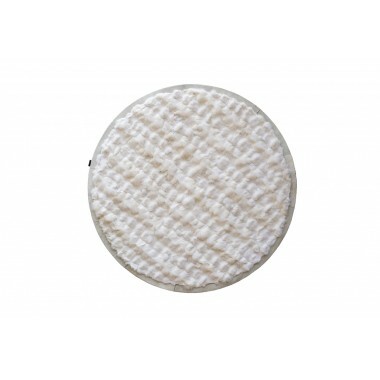 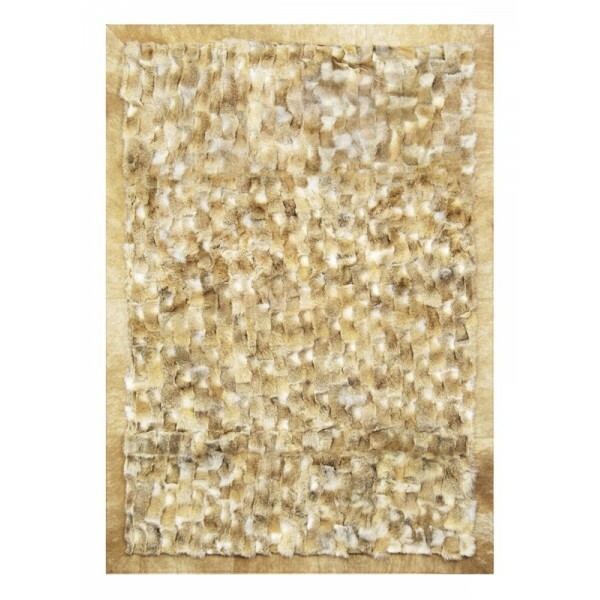 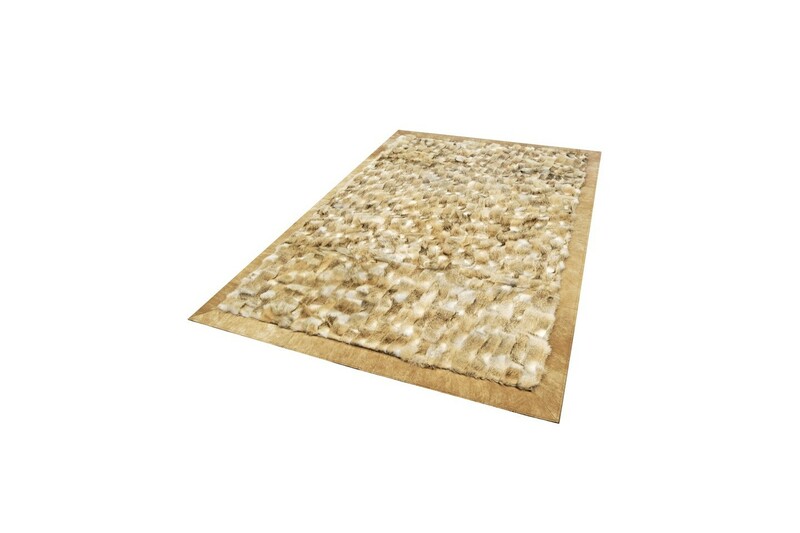 Natural beige color that creates a soothing style, backed by a beige cowhide frame around the rug. Magnificent! 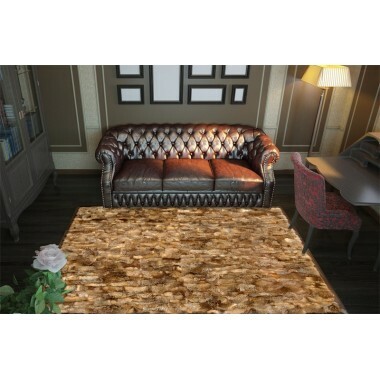 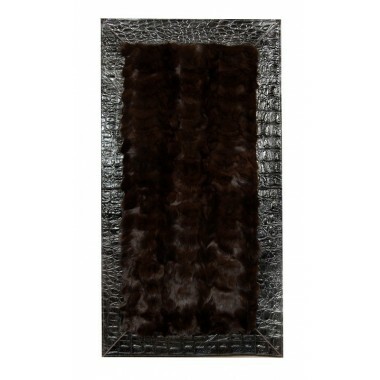 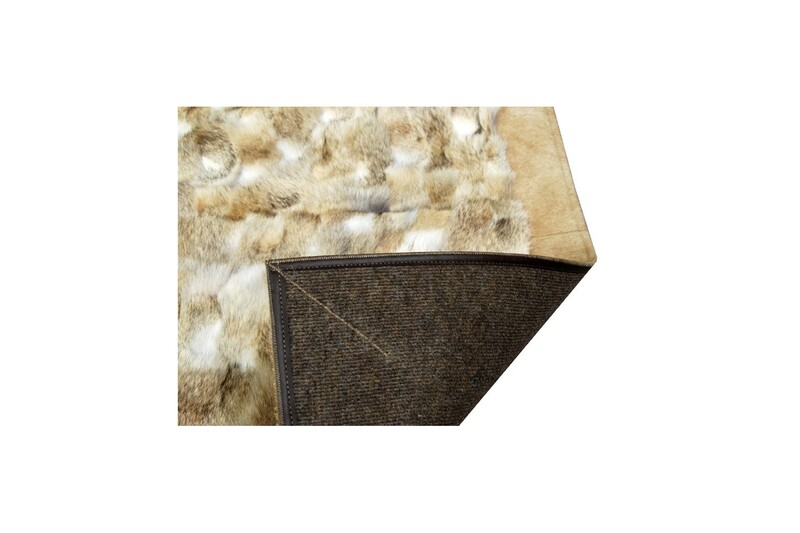 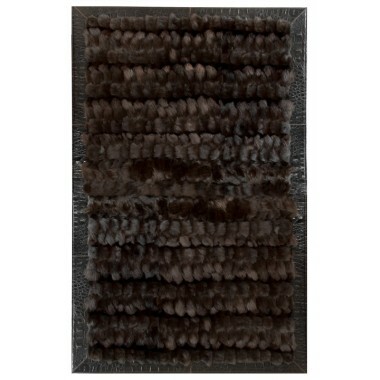 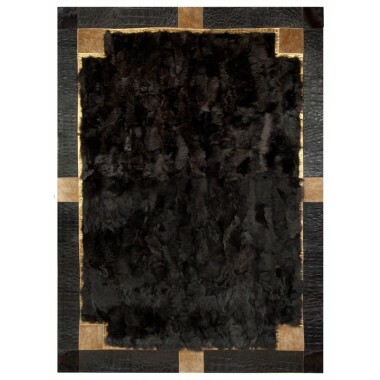 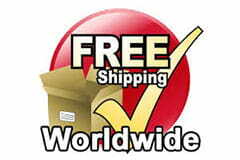 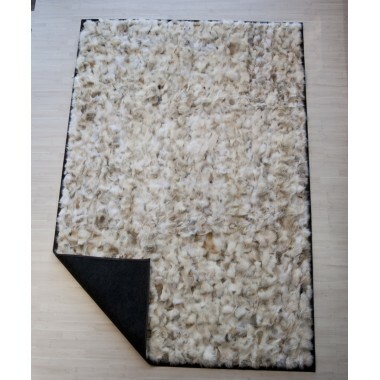 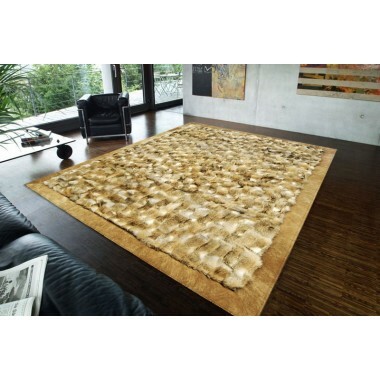 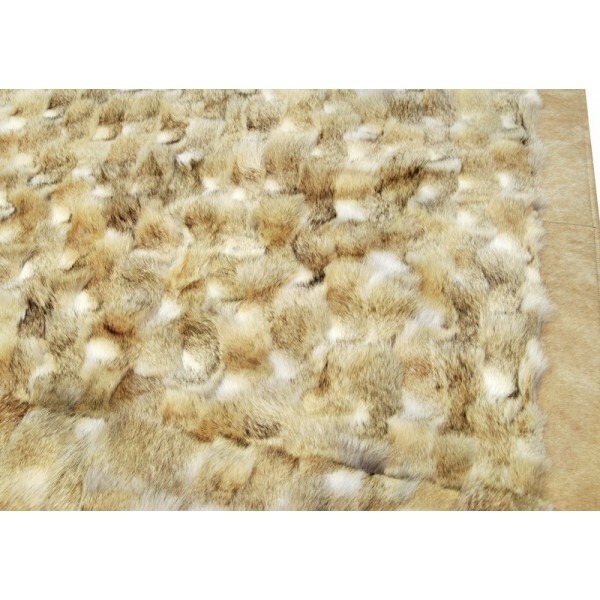 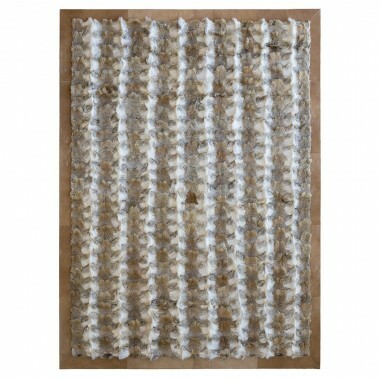 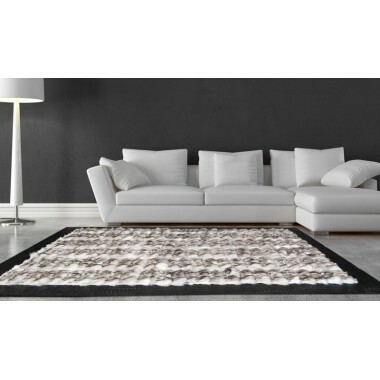 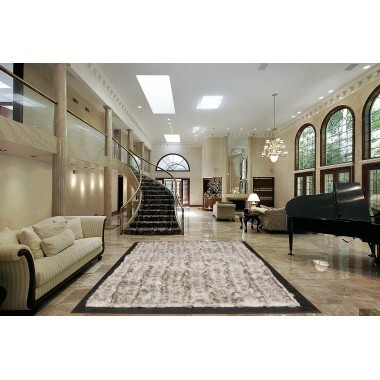 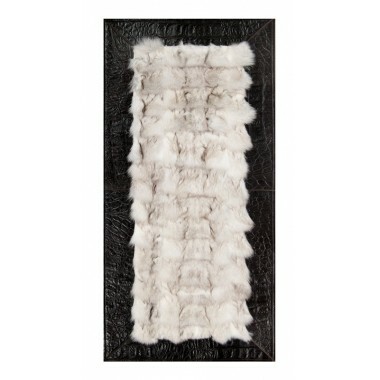 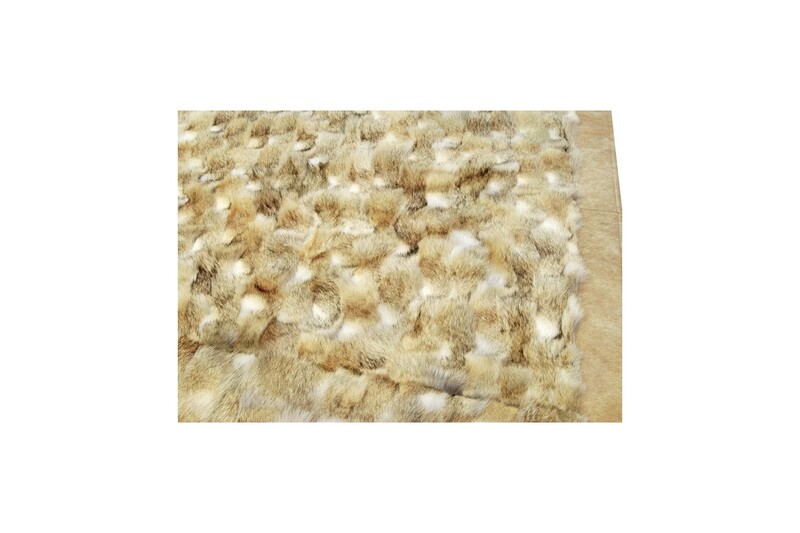 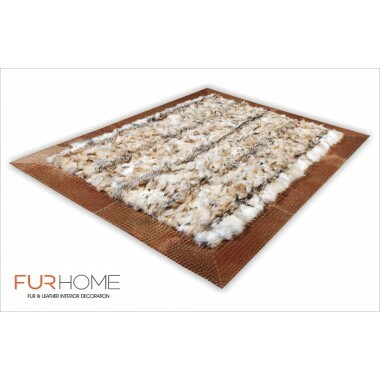 A magnificent carpet made of real wolf fur in natural beige shades with beige leather finish. 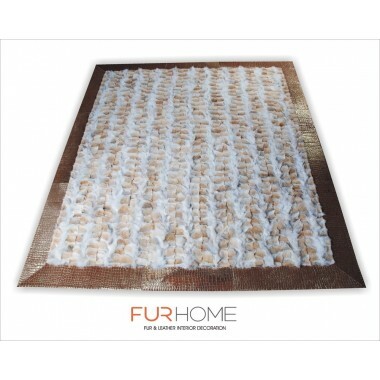 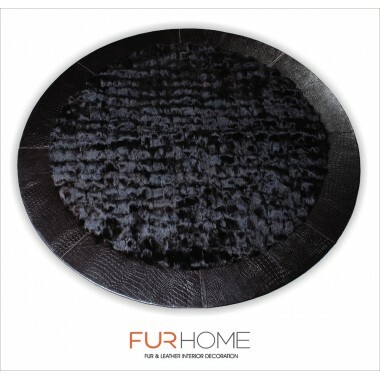 The way the fur pieces are stitched together creates the impression of sand, helped by the golden shade of guard hair and the off-white underfur. 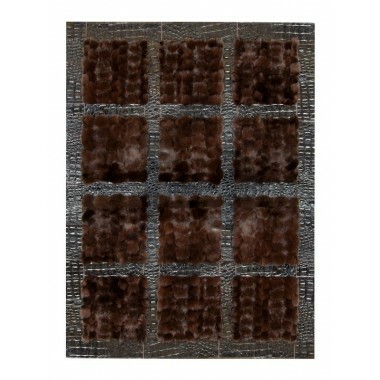 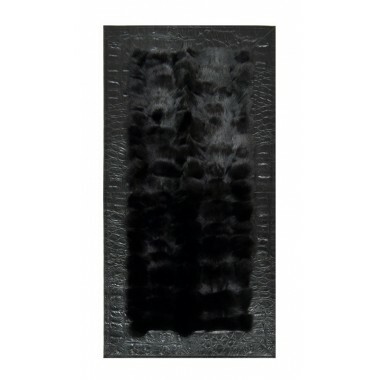 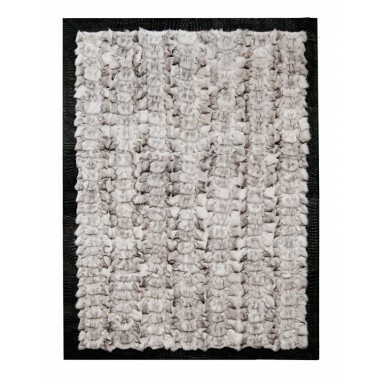 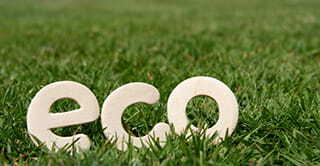 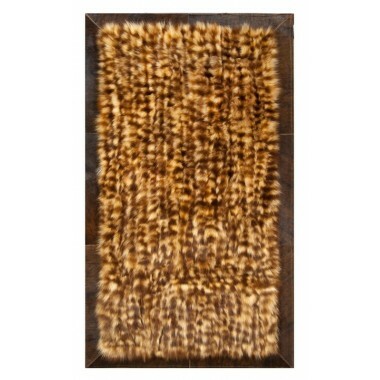 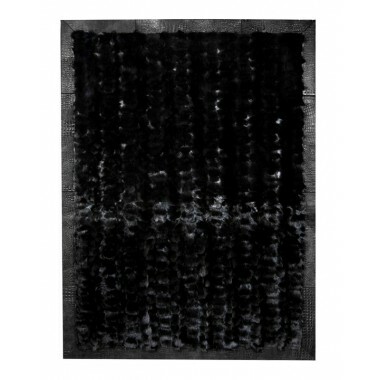 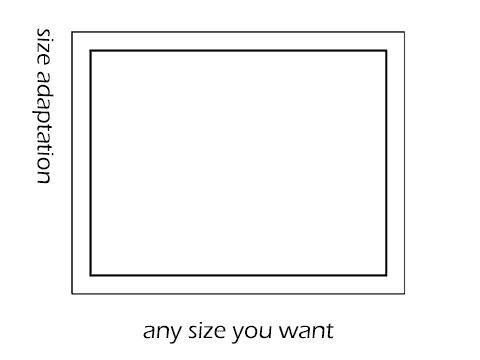 Can you think of a better rug for your living room or bedroom?